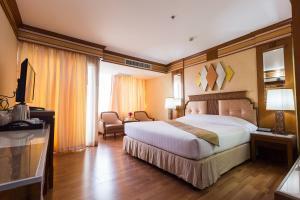 Located 3 km from Don Muang Airport, Asia Airport Hotel is within a complex that also houses shop and restaurants. 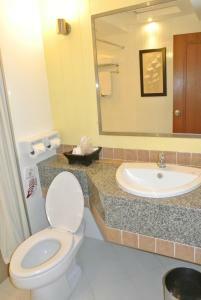 It offers an outdoor pool and fitness centre. 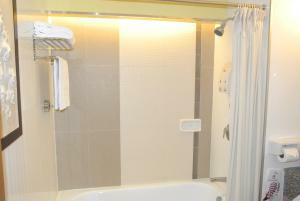 Rooms at Airport Asia Hotel are equipped with a TV and fridge. 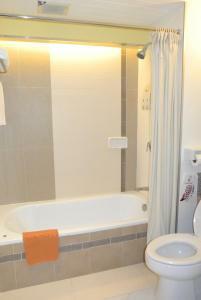 En suite bathrooms come with a bathtub and shower. Guests can relax with a traditional Thai massage. Pathum Coffee Shop serves local and international dishes. The hotel is not affected by airport noise. Please note that the swimming pool located on the 10th floor is closed and undergoing renovations from 10 - 20 October 2017. The room offers a TV and a refrigerator. 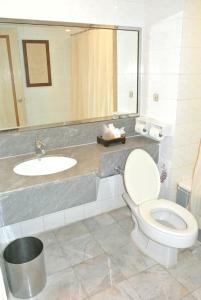 It also comes with private bathroom equipped with a bathtub and a shower. 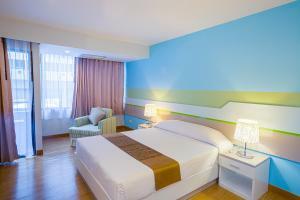 Rate: THB 1290.00 ... THB 1990.00; select dates below to get current rates. This room includes air conditioning, telephone and a TV. 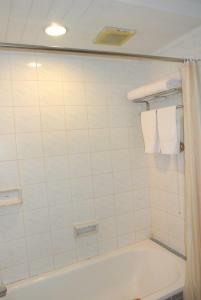 Private bathroom offers a bathtub and a shower. 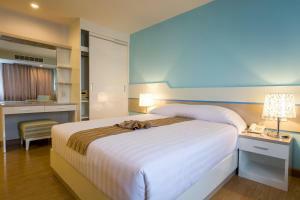 Rate: THB 1150.00 ... THB 1990.00; select dates below to get current rates.